Britain has said a rapid reaction force of warships will visit Gibraltar on its way to naval exercises in the Mediterranean, even as the fierce diplomatic row over the disputed territory looked set to continue. The Navy’s force led by HMS Illustrious and including two frigates will sail for the Mediterranean on Monday at the start of a four-month deployment. 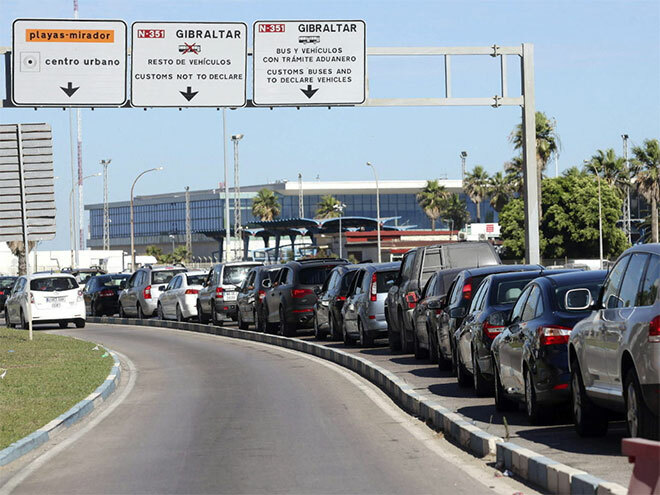 Three ships including the frigate HMS Westminster are due to stop later this month in the port amid a standoff with Madrid over punitive border checks for visitors to Gibraltar. Gibraltar’s chief minister, who earlier in the week likened Spain’s stance to “that of North Korea”, said the latest behaviour was just another example of Spanish “duplicity”. “It’s about time the UK government saw the face of Spain that we see constantly. In Gibraltar we are not so surprised that there was an element of duplicity in the way Spain is going about this,” Mr Picardo said on Thursday.